Whoever did this one, I gotta tell ya, they’ve got some talent. You got yerself some draftsmanship going on here. Good stuff. I found this picture on Pinterest at http://www.pinterest.com/pin/101682904060066377/. 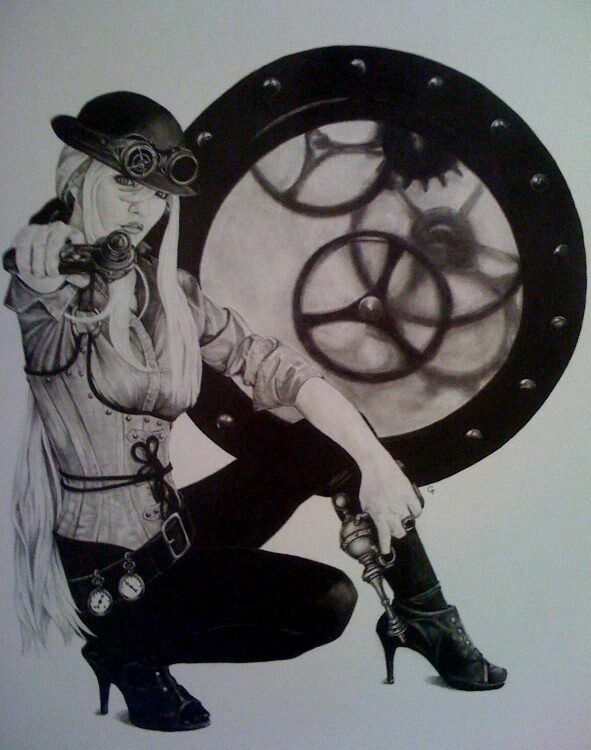 Pinterest has a gaggle of steampunk images that are beyond cool. If you’re a fan of steampunk couture and steampunk culture, you should pay them a visit.